Last weekend the weather was quite mild in Paris, perfect to wander around in the small streets around Rue de Maille at the Rive Droite and around Place St. Germain at the Rive Gauche. Deco-Off gives you an idea of what is to come. And editors went for colour, travel inspired fabrics and wallpaper. We can look forward to a colourful and relaxing summer if it depends on the designers of wallpaper and interior fabrics. All the show windows are decorated specially for the event. 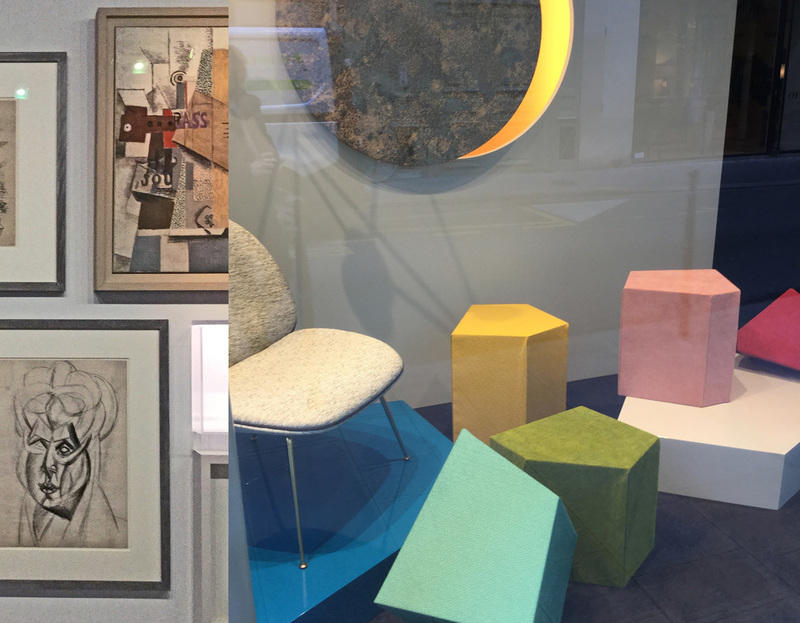 Deco-Off as well as Maison & Objet are fairs for professionals, but Deco-Off in Paris is giving also a pre-view to the public. Everybody can dream of re-decorating their interior. Travel inspiration, natural themes and colours were all around. Getting a view inside a studio to feel the atmosphere of creation, in the showroom of Pierre Frey, where they were presenting their collection Le Manach. Fabrics, fabrics, and more fabrics just to indulge. The time of the fair is also an occasion for the suppliers to invite their clients, often they were organising a cocktail party after a long day at the fair. This year we got more cultural invitations. Elitis was organising a private guided visit of the Picasso Mania exhibition in the Grand Palais at 8AM, the sun rise was an extra. Picasso was a great artist, inspiring a lot of other artist. He was the first who took African art as inspiration. African artists are now inspired by Picasso. Were the coloured cubes in the show window of Lelievre inspired by the Cubism I saw at Picasso Mania? 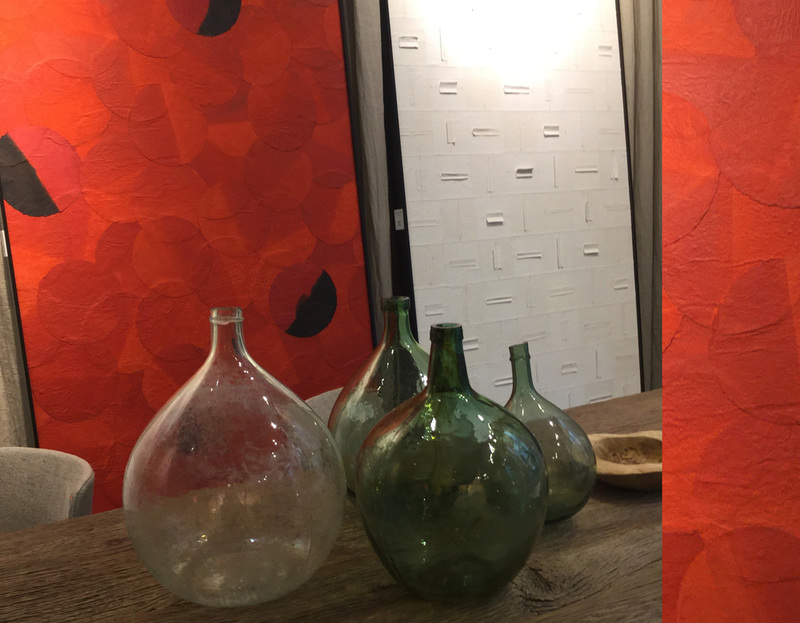 Elitis has a wonderful new collection of handmade wallcoverings. No wall will be the same. Another great invitation: the Musee de l'Art Decoratifs opened one evening their doors to show the Pierre Frey exhibition: "Inspired Fabrics". Showing fabrics and wallpapers out of the archive and their interpretation. Some artist were invited to make a work inspired by the world of Pierre Frey. 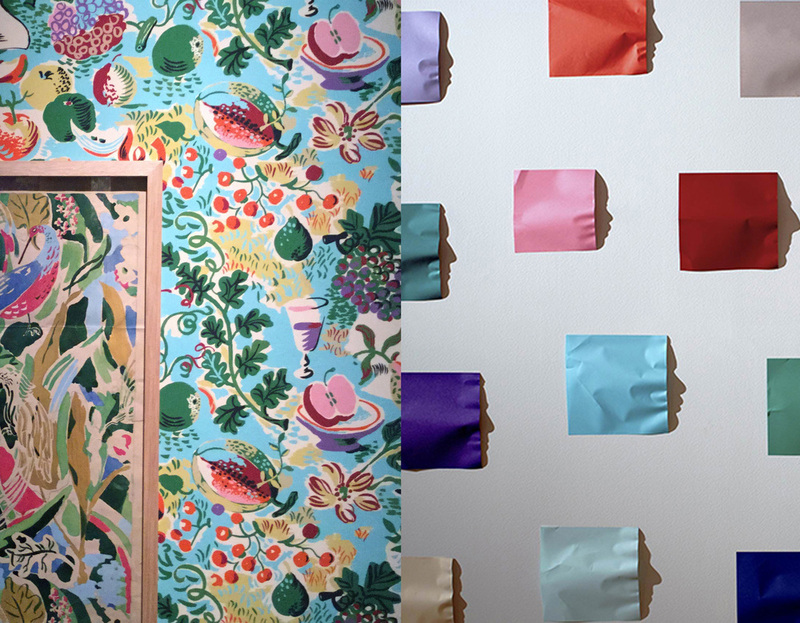 "4 Centuries of Wallpaper", an amazing exhibition at the Musee des Arts Decoratifs. Hand painted, hand printed wallpapers, trompe l'oeil and some modern printed wallcoverings. Some of the wallpapers exhibited here were of the Art Deco period, a trend from the 20s last century. When you see the Charleston collection of Pierre Frey than you understand where they found their inspiration. Maison & Objet is a professional fair hold in the Parc des Exposition at Villepint, next to the Charles de Gaules airport. 8 halls to show new collections from all over the world. Furniture, light fixtures, bed and bath linen, ethnic furniture, perfumes, accessories. 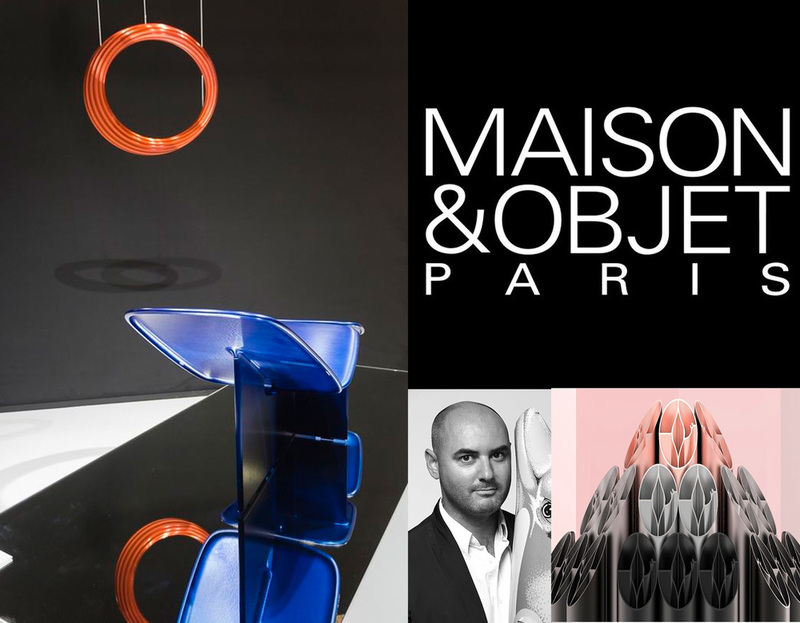 Each year Maison & Objet is selecting the Designer of the Year. This year the honor went to the Catalan designer Eugeni Quitlett. He worked for almost 10 years with Philippe Starck before starting his own design studio in 2011. Quiltell wants to add poetry to his designs and want to treat every material as a precious material. The Maison & Objet Observatoire choose this season "Wild" as theme. The Inspiration Space by Francois Bernard takes visitors on a stroll way off the beaten paths. Going from untamed to sacred and from natural to supernatural. 8 halls, 5 days of fair: a lot of information, a lot of inspiration to work with. When some of the ideas you see you see back at several suppliers, than you know in which direction the interior decoration world will go. 4 things I saw all around the fair: marble, round shapes, trimmings and some rose gold. If you want to give your home a trendy look than you could add one or more of them. I was already writing blog post on MARBLE a few weeks ago: Marble keeps inspiring. Marble is for sure making a big come-back. ROUNDED SHAPES for sofas and armchairs. It gives a soft and inviting touch to your living room. Use of TRIMMINGS. As an accent on curtains or pillows, but I saw them now also often used at the bottom of an armchair or stool to give it a bit of drama. ROSE GOLD as a new metal finish. Rose gold contains 58% gold, the remaining percentage is made up of copper or copper and silver. The varying percentage of copper used determines the colour of the gold. The more copper that is used, the stronger the rose colour. A very small selection of what I saw during the 5 days in Paris, the things which inspired me most. All is about getting inspired and to inspire others.